Used to be, I’d make a pile of liqueur or infusions or bitters or hooch from fruit when it was in season so I could just do it all year. Recently, we’ve focused more on quality hooch you can get from the pros. Doesn’t mean I’m done, though. 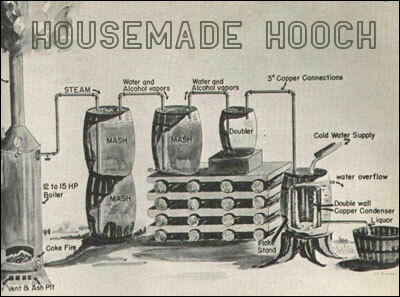 We still have a lot of housemade hooch that, frankly, we’re underutilizing and it makes so SICK. Wait, that’s maybe an overstatement. It more makes me kinda think “Jeez, I gotta use more of that hooch.” And also, I’m not sick about it at all. So, there’s that. Plus, a “new to us, but old school West Seattle fella” will be joining us tonight as well. You’ll see Amanda smile even more than normal. What time? 7ish, or even 6ish if you want. Who am I to tell you? Long as you make it. You what sounds delicious on a cold or hot or really any day? Wormwood. I mean, it just SOUNDS delicious. Like…well, an old, um, piece of wood crawling with… Yeah, scratch what I just said. It sounds ishy. But, it’s been an ingredient in booze for hundreds of years. 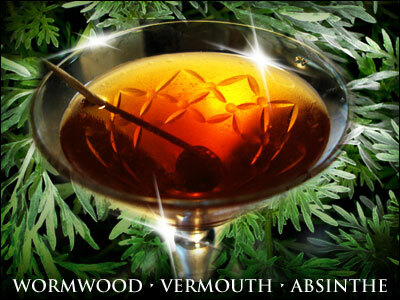 Vermouth, translated, means Wormwood. It’s in Absinthe. And also other stuff, probably. It’ll certainly be in cocktails, which we’ll make and you’ll drink. That’s how it works. 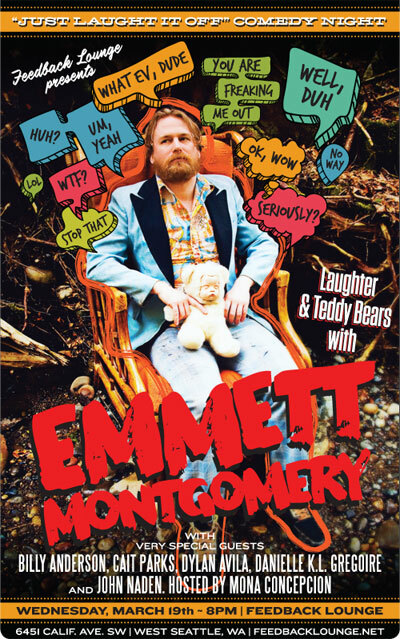 The Feedback Lounge is proud to present EMMETT MONTGOMERY for our next big show on Wednesday, March 19th. Emmett is a local comedy legend who continues to perform and produce successful shows. This showcase will also feature Billy Anderson, Cait Parks, Dylan Avila, Danielle K.L. Grégoire and John Naden. The whole production is orchestrated by our lovely and talented hostess, Mona Concepcion. The room often fills to capacit,y so please come early for this very fun and exciting event! If nothing else can be said about me, it can certainly be told that I’m a slave to trends. Look how fashionable I dress and have cool haircuts and am super good looking and young and thin other hip things. So, trend wise, cider is a hugely growing deal. 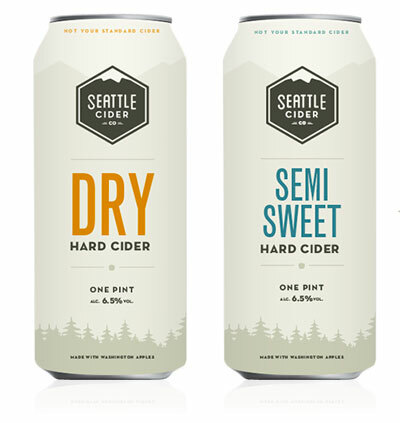 There’s a local company called Two Beers that makes outstanding beer and even better cider. I like it so much, and as you see from above, am so super cool that I’m gonna make cocktails out of it. 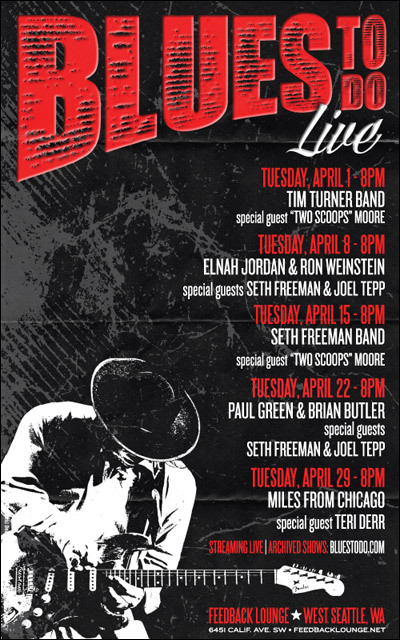 Come be cool with me tonight, but we’ll pretend we’re not being cool because it’s really not caring if you’re cool that makes you… Sorry, I just stopped being able to pretend right in the middle of the sentence there. I’m trying to self-improve lately (by “self improve,” I mean “not be chunkier than I should be”), and I shall demand that of classic cocktails on this eve. They’re not gonna improve themselves, so we’ll do the work. 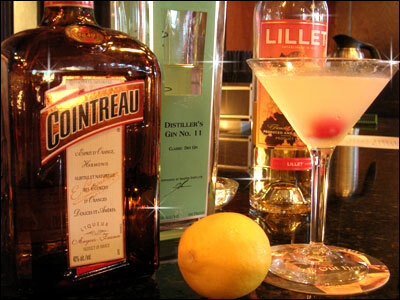 You may have wanted to try a Corpse Reviver #2, for instance, but hate Absinthe like it wants you dead. So, let’s improve it for you. Lemon Drop too pedestrian for you, tasting like spiked lemonade as it does? Use gin instead, and mayhap splash some orange bitters in there. Tell us what you are “meh” about, we’ll make it better. Just for you. Awww. You are currently browsing the Feedblog blog archives for March, 2014.